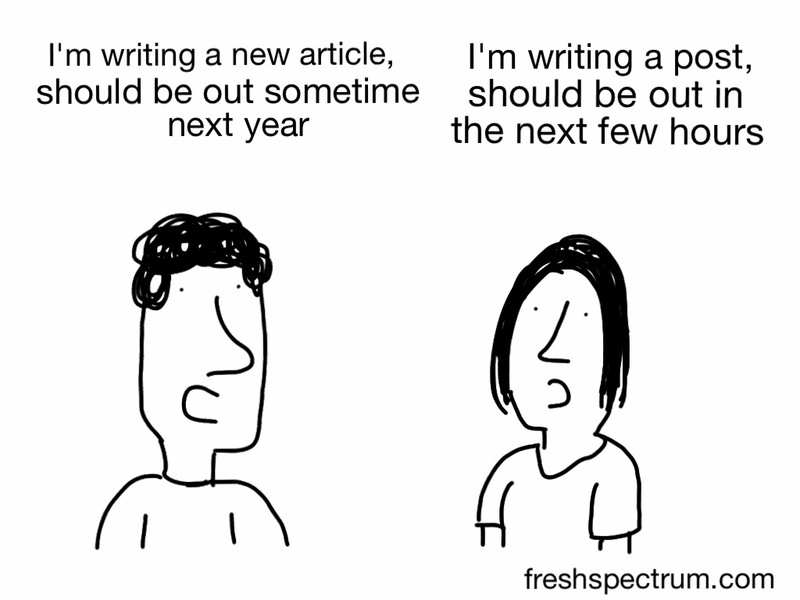 May I rehash the “should I blog or not?” debate for just a brief moment? In the days that I have been too busy to directly connect with the community outside of my university — last year, dissertating while on the job market, and now as an overwhelmed new professor — I have settled for using social media to make academic scholarship accessible and to make a difference in general. No matter the risks, blogging can have some impact, hopefully in others’ lives, but academic bloggers, too, may find that these “extracurricular activities” count for something (including research). Okay, so I said “yes!” to most of these invitations. I stand by my point that actually entertaining the idea, at least without automatically saying “no!”, has been tremendously helpful to my self-esteem. For example, when I was introduced before my keynote speech at Randolph-Macon College last night, I heard how genuine the faculty were in being impressed with my advocacy (and my publication record). I asked myself, why don’t I regularly feel so valued? Often, your value and success is a given in your home department; and, it is not your colleagues’ job to feed your self-esteem. Hey, all the more reason to find external appreciation! But, the personal significance aside, I want to emphasize that I received ten speaking/writing requests in 10 months, primarily because I write publicly about my experiences in academia. As a first-year professor, I have been invited to speak on a few panels about professional development. I admit, that also means that I have to quiet the voice that says, “well, it’s clearly a low bar — just write a blog post”; but, self-doubt aside, that is the key point — anyone can write about academia and likely find some interested audience who wants more. Blogging counts! This entry was posted in Activism, Public Scholarship, Social Media and tagged self-doubt, service, values. Bookmark the permalink. Blogging is excellent, I’m sure you know about Alt Metrics, if you want to incorporate it into your CV. Also, how has that gone? Oh, I hadn’t heard of Alt Metrics. I will look into it. For now, my institution doesn’t recognize blogging in anyway — but, it’s a relief to be at a place that informally appreciates it. I’m a young grad student of color and I want you to know that I really enjoy this blog! A lot of people I know may not comment on your posts but they read them and discuss them. I think blogging is a great way to advocate for issues you care about and to help others process their own experiences too. I wish I could like this comment a billion times. I’ll at least copy and paste it into my feel-good folder. Thank you so much, Casey! That’s great. I haven’t kept as careful track as you, but it’s definitely transformed my career. I started actually on CNN and then made the blog, but the blog is the sustaining writing piece punctuated by irregular publications. And the instant feedback loop is exciting, if sometimes scary. Thanks, David. Yeah, I share the sentiment — though CNN may not be in the cards for me (though I’m ready if they call).